Another small range day and a little more downwards movement overall fits the expectations for the Elliott wave counts. An outside day remains range bound. A breakout from this consolidation is required to indicate the next trend. Fibonacci ratios are used with the Elliott wave count to calculate targets for a final high. Price continues to behave as the preferred Elliott wave count expects, and the short-term target remains the same. Only three weekly Elliott wave counts remain. A continuation of downwards movement was expected for the short term. With the 0.382 Fibonacci ratio passed, the 0.618 Fibonacci ratio is a new target. Another small range day fits short-term expectations. 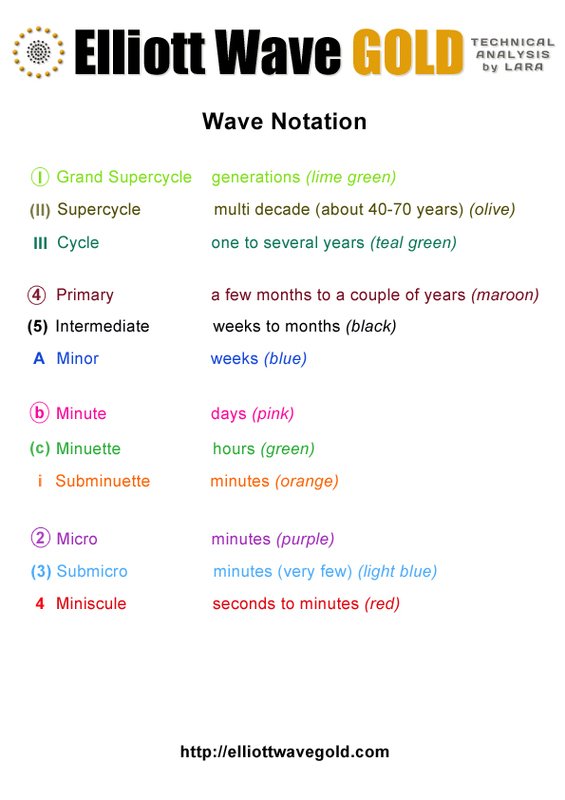 All Elliott wave counts remain valid. An upwards day with support from volume breaks above resistance. Resistance zones will be used as targets. The ascending triangle pattern has not resulted in a clear breakout, so it is discarded. Four Elliott wave counts remain valid. Two hourly charts are provided for members today. Sideways movement continues as the preferred Elliott wave count expects. For the short term, the two preferred Elliott wave counts (combination and triangle) expected downwards movement to begin the new trading week. So far that is what is happening. GDX and Gold both continued lower for the week as expected. 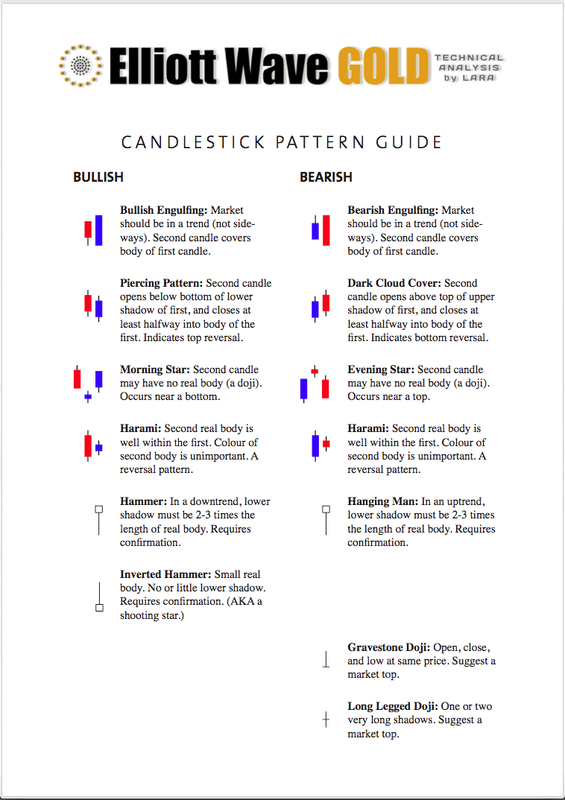 With Gold now having developed an extreme downwards trend, candlestick reversal patterns may be used as warnings that the trend may either end or be interrupted by a consolidation to relieve extreme conditions.